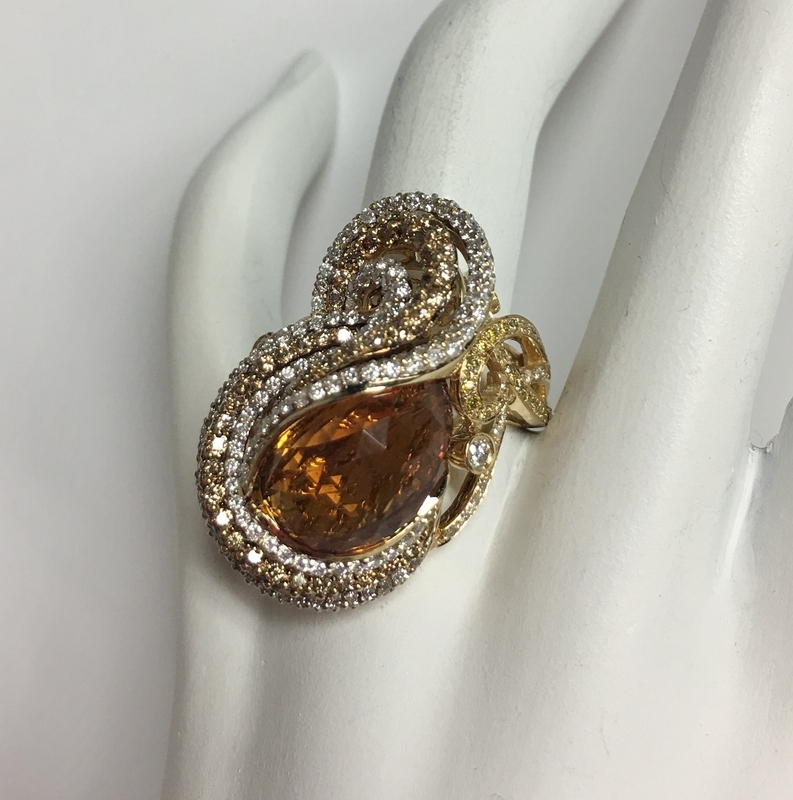 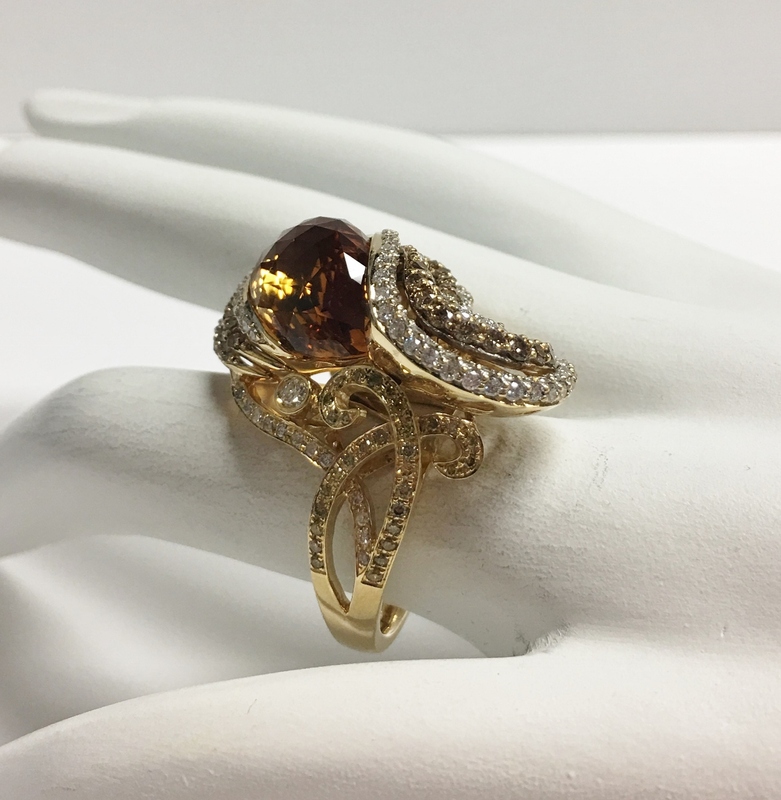 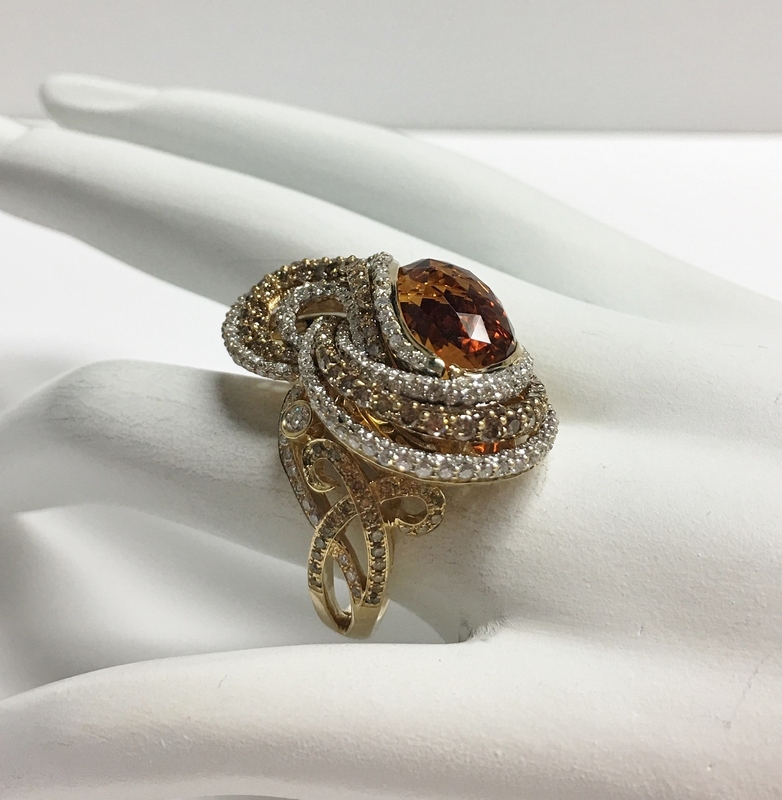 An 18K yellow gold ring featured with a fancy cut citrine weighing approximately 7.65 carats, 66 round cut brown diamonds weighing approximately 0.95 carats, 187 round cut white diamonds weighing approximately 1.10 carats, and 125 round cut yellow diamonds that weigh approximately 0.458 carats total weight. 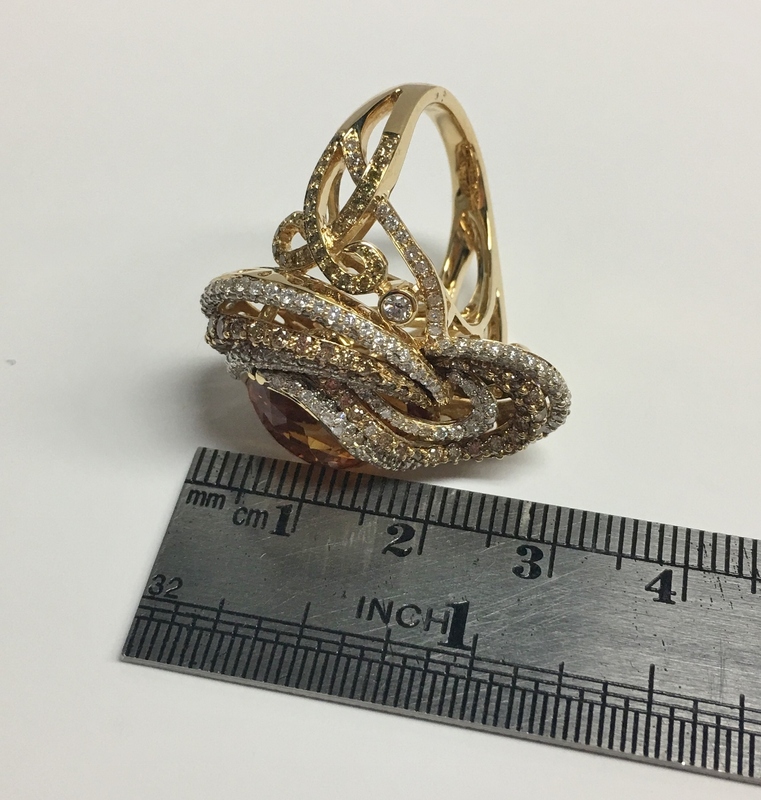 This size 6.5 ring weighs 16.80 grams. 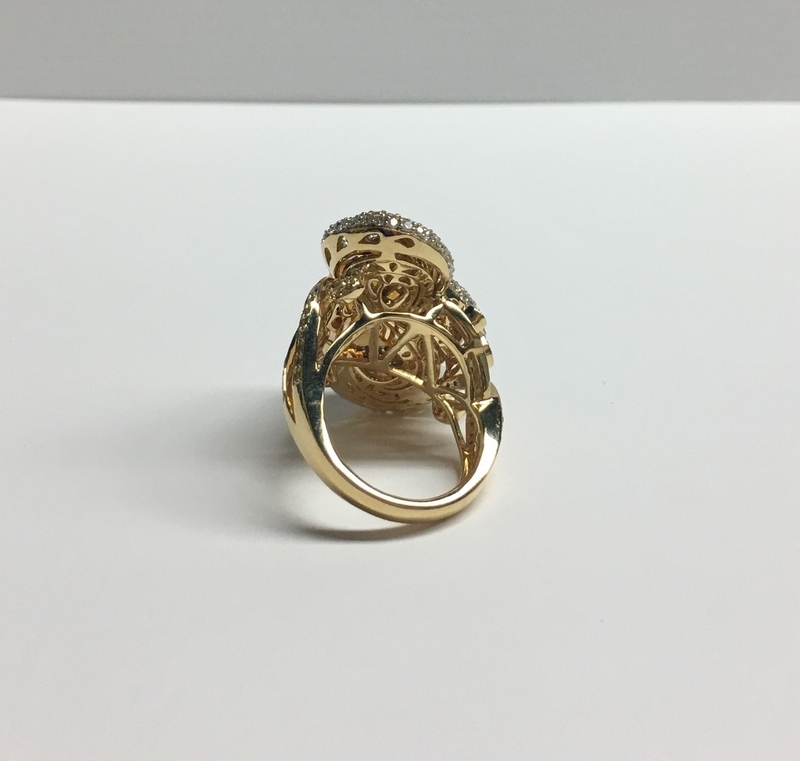 and please contact seller inquiring for the matching pendant.